The photographs in this section relate to the portion of the High Street north of the church on the same side of the road. 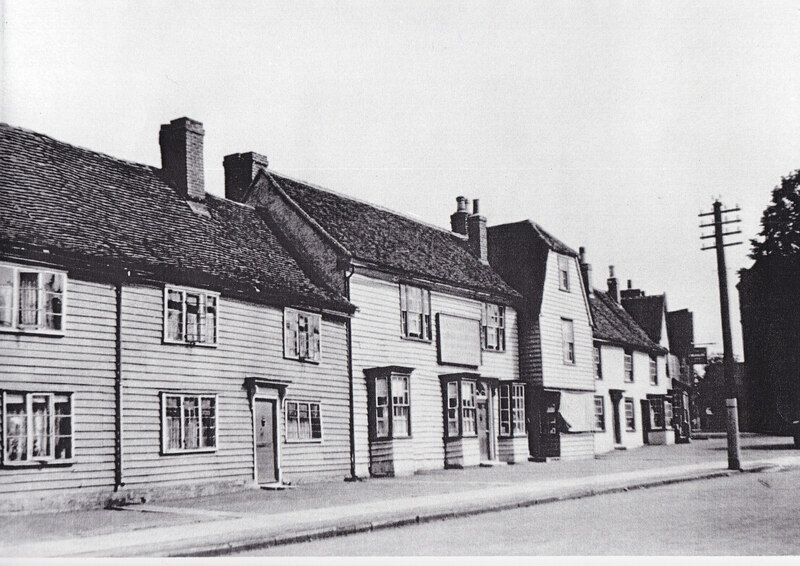 A view along the High Street on the Eastern side showing Bassoms. The building end on towards the road is now the bakers. 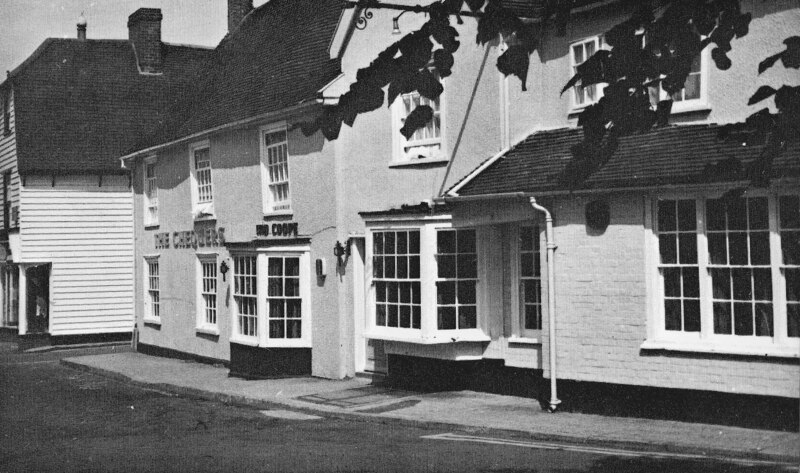 Beyond that you can see the Chequers public house and the entrance to Chapel Street. The Chequers probably slightly earlier that the previous photo as there is no sign of the telegraph wires. 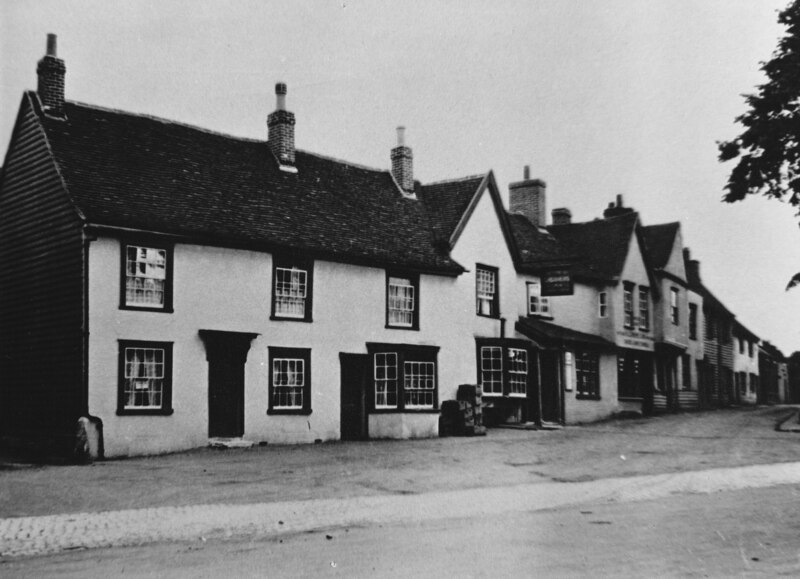 The Chequers, possibly in the 1960’s as the pub is in the Ind Coope livery of that time. Also note that the road still passes directly in front of the pub and the pavement has not yet been widened.